A card game which involves a judge choosing a black question or fill-in-the-blank card. Each player holds a hand of ten cards at the beginning of each round, and each player contributes card(s) to the "card czar" anonymously. The card czar determines which card(s) are funniest in the context of the question or fill-in-the-blank card. The player who submitted the chosen card(s) is given the question card to represent an "Awesome Point." In addition, there are a few extra rules. First, some question cards are "Pick 2" or cards, which require each participant to submit two cards in sequence to complete their answer. Second, a gambling component also exists. If a question is played which a player believes they have two possible winning answers for, they may pay in an Awesome Point to play a single second answer. If the player who gambled wins, they retain the wagered point, but if they lose, the player who contributed the winning answer takes both points. After each round, the role of card czar rotates around the table, and play continues until everyone decides to stop. "Cards Against Humanity is distributed under a Creative Commons Attribution-Noncommercial-Share Alike license - that means you can use and remix the game for free, but you can't sell it. 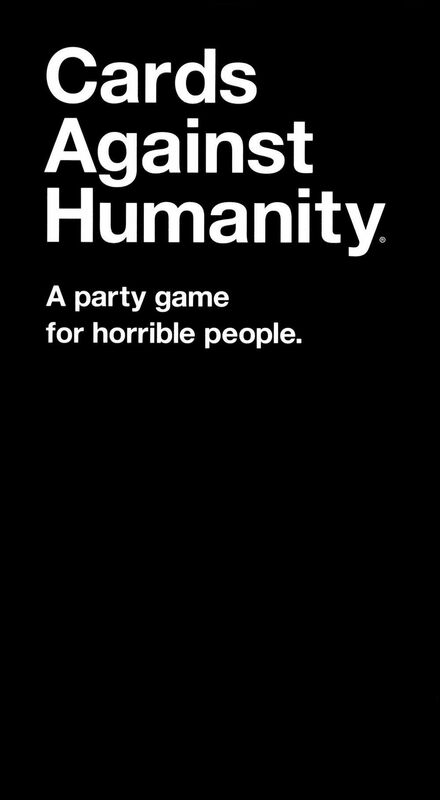 Feel free to contact us at cardsagainsthumanity@gmail.com."